BHN were involved in 2 schemes (Wolverley & King Charles I Secondary School) as part of Worcestershire County Council, Building Schools for the Future progamme. Both schemes were developed to outline planning stage and submitted as part of the Outline Business Case for the BSF programme. Wolverley Secondary School - Kidderminster. 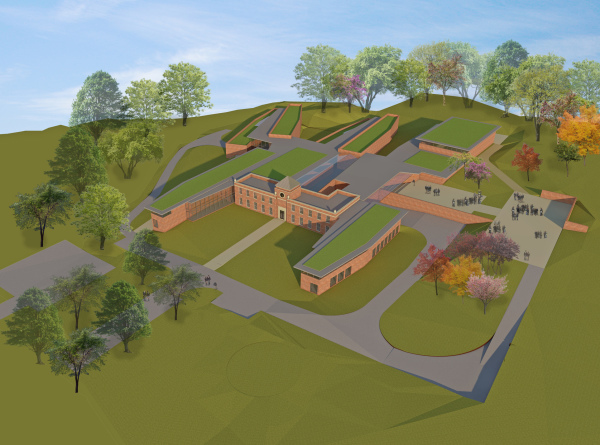 The existing secondary school is located on a steeply sloping site within a conservation area. Originally a public school opened in the 1930s it was taken into Local Authority Control in the 1960s. It had several distinct phases of development: the original neo-classical buildings that formed a central court, some 1950s additions, extensive use of pre-fabricated buildings during the 60s and 70s and, more recently, a large number of de-mountables. The proposal retains a part of the original, 1930s, neo-classical building – re-instating the original ‘open-armed’ courtyard – now flanked by new buildings. Beyond the neo- classical building teaching blocks are arranged around a central breakout space. King Charles I Secondary School - Kidderminster. 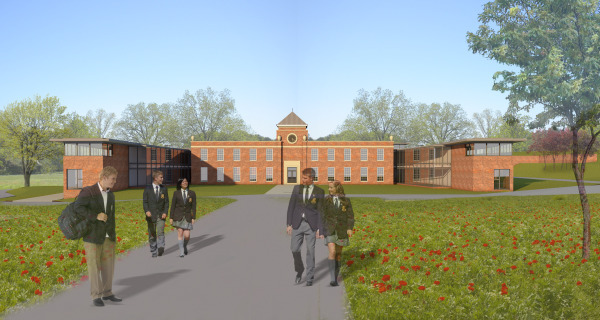 The project involved developing a proposal for a new secondary school and primary school on an existing school site. The proposal is organised around a central ‘agora’/ street with year bases and general teaching in a ‘strawberry’ arrangement adjacent to the central street. Specialist teaching/ multi-use spaces in the secondary school formed a linear block running parallel to the central street. 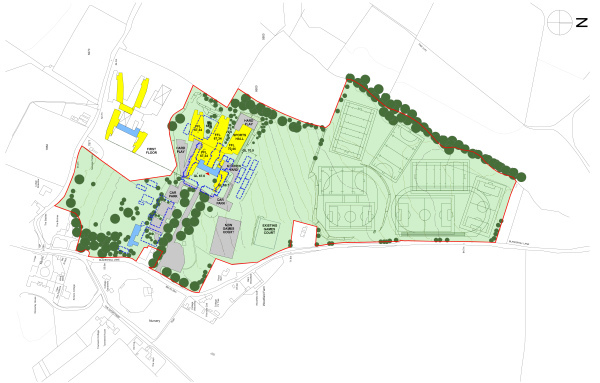 The primary school sits between the existing children’s centre and the proposed secondary school.